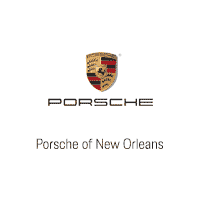 You undoubtedly have a lot of questions for your dealer when you go to your local Kenner, LA, Porsche dealership and look at cars you might want to drive home. But you need to ask yourself some important questions as well. After all, you don’t want to show up to the dealership not knowing what you want or how much you’re going to spend. Whether you have your eye on a Porsche 911 Turbo or another amazing vehicle in our lineup, it’s important that you get into a car you’ll love for years to come. Here are a few questions you can ask yourself before you shop to make sure you’re only considering the best of the best vehicles on the market. Deciding whether you want to buy a new or used Porsche 911 Turbo is one of the first questions you’ll have to ask yourself when you start the car-shopping journey. While you might have an initial reaction to only buy new, really take your options into consideration. You may be able to get a used vehicle at a much lower price, and it might be just as good as a new one. Keep your mind open, and you may just end up spending less than you anticipated. If you decide you want a new car, you then have to choose whether you want to buy or lease. When you buy a vehicle like a Porsche 911 Turbo, you can get an auto loan to help you pay for the car. But if you want to lease, you can simply rent a car for a set period of time. Think about your lifestyle and your financial situation before you decide what’s best. Oh, and remember, you’re going to need an amazing credit score if you want to qualify for a lease. Of course, you can’t forget to ask yourself about your money. How much are you willing to spend on a new ride in Kenner, LA? Be realistic about this figure, and don’t put too much financial pressure on yourself just to have an impressive car. The staff here at Ray Brandt Porsche wants to make sure you find the answers you’re looking for. Come see us near Kenner, LA, today.